PRESS RELEASE: Glasgow, 21 February 2017 – Regional REIT, the UK regional office and industrial property focused real estate investment trust, today announces that the final available floor space at its office building, 9 Portland Street, Manchester, has been leased to an existing tenant, Mott MacDonald Limited, along with the removal of a break on their existing letting. In addition, Thames Trading Estate, Irlam, near Manchester, is at the stage of its final unlet unit. 9 Portland Street is a period office development refurbished to a modern specification, over the ground and six upper floors of the building, amounting to 54,959 sq.ft.. It is located close to one of Manchester’s major transport hubs, Piccadilly Gardens. The property was acquired vacant from receivership in December 2013, for £3.75m. Regional REIT undertook a complete refurbishment to make the offices fit for occupation, with capital expenditure amounting to £1.1m. The latest deal takes 9 Portland Street to 100% occupancy and a rental income of £756,150 pa. The deal agreed with Mott MacDonald secures an 8-year term on all of their space in the building. The active engagement of the Asset Manager identified Mott MacDonald’s requirement for more space, and also anticipated the cluster of breaks/renewals within a relatively short period at Portland Street. Agreeing the letting with Mott MacDonald on the additional space while removing the break option from their original lease provides Regional REIT with a secure long-term income flow of £170,000 pa (and a rent review at 3-years) as well as an anchor tenant for the building. Since refurbishment the Asset Manager has improved the rental value by 44% to £19.50 per sq. ft.. With the average rental currently at £13.75 per sq. ft. there is potential for significant reversionary growth on lease renewals and rent reviews. The latest published valuation (30 June 2016) was £10.0m, showing a £5.15m capital improvement and more than doubling the money committed to the project. Thames Trading Estate, a mixed-use light industrial site of 1980s construction, consists of 18 units with a total area of some 31,000 sq. ft.. At acquisition in August 2014, Thames Trading Estate had occupancy of 54% and a net rental income of only £76,350 pa. 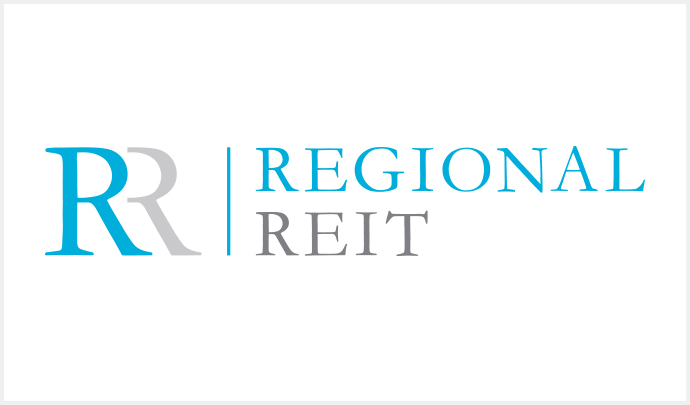 Regional REIT initiated a rolling programme of refurbishment, as well as appointing new letting agents and launching an improved marketing campaign. The total investment amounted to some £165,000 with common area refurbishment funded by the service charge and recovered from tenants. Lease regears have been completed with many of the incumbent tenants, greatly improving headline rents. With only one unit still to let, on full occupation Thames Trading Estate will produce a total rental income of c. £162,000 pa, typically on 5-year lease terms, representing an increase of some 115% on the income at acquisition. The final unlet unit amounts to 2,147 sq. ft.. Thames Trading Estate represents the typical opportunistic, secondary asset that Regional REIT looks to acquire, offering significant property asset management and letting opportunities with our “hands-on, in-house” management approach by London & Scottish Property Asset Management, the Asset Manager.